Bet you think a winter wedding is a bad idea. But don’t rush to conclusions before you really know all the advantages. 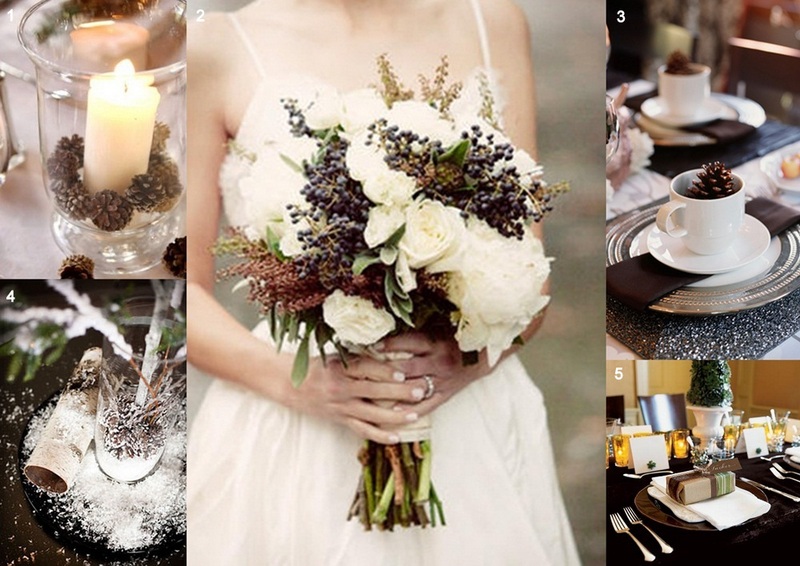 New Year and Christmas can provide a great atmosphere for a winter wedding. Winter weddings remind us of a small family meeting that can be held in a country house, with a large fireplace and lots of candles. You can ride a sled, have a snowball fight and then later warm up with mulled wine. It’ll be a little winter fairytale for a couple. It’s a great chance to get married on a budget. 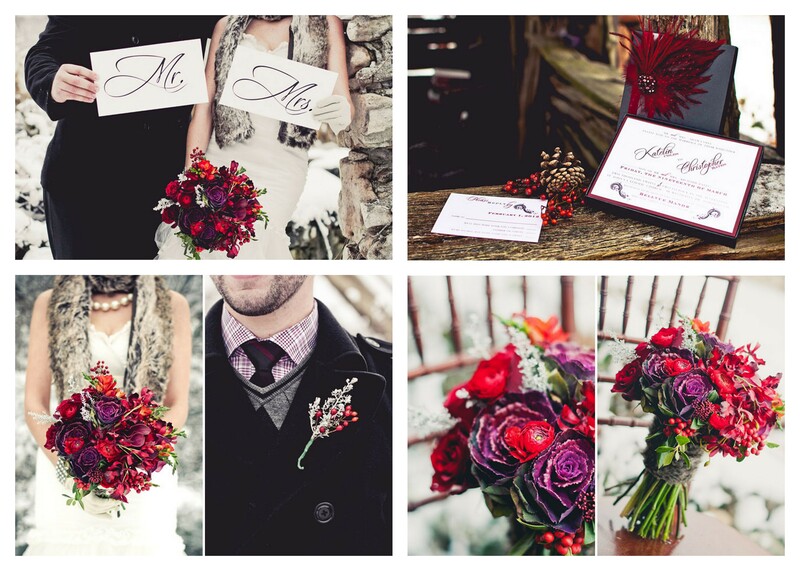 Winter is a slow season for weddings so there are a lot of discounts: florist, dress shops, decor, make up etc. 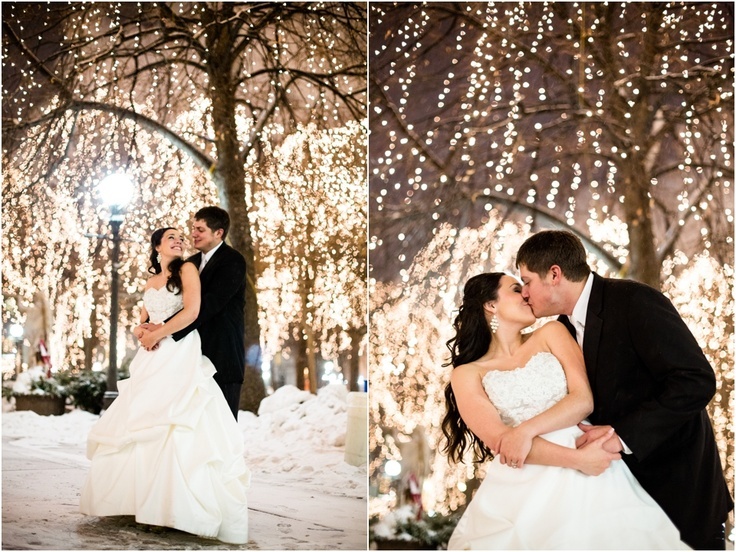 A lot of photographers and restaurants make discounts for weddings in winter and their schedule is more open so it’s easier to choose the date you want. 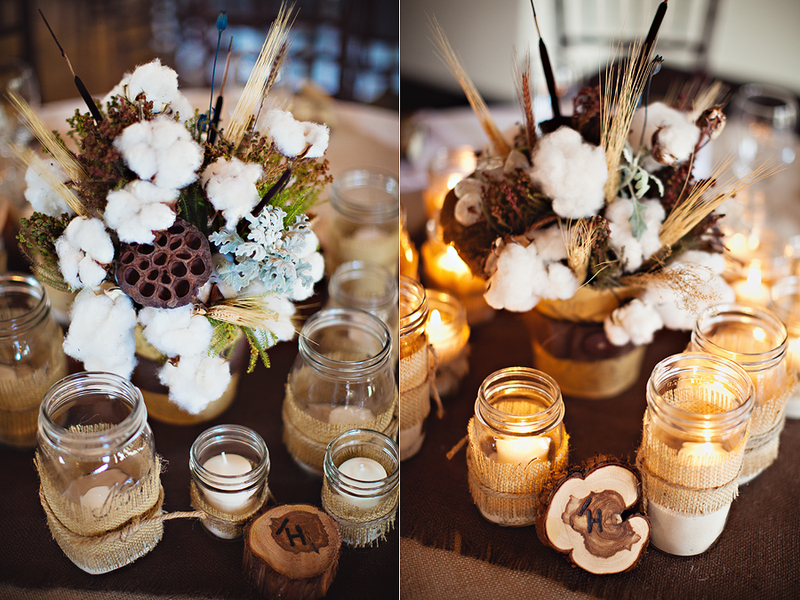 There are a lot of decoration details that will keep your guests warm and cozy. First of all, it’s a great idea to rent a place with a fireplace. It’ll looks strange in summer, but it’s so interesting in winter. 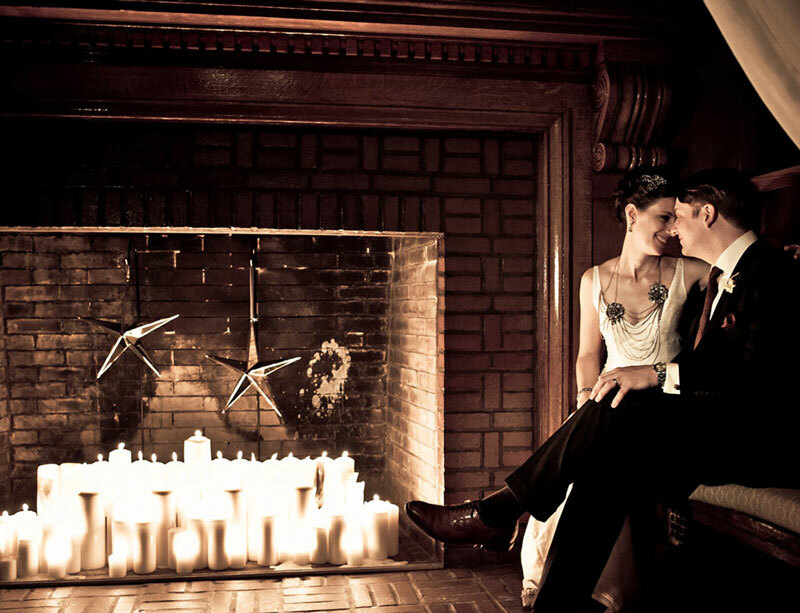 Also standing next to a fire place is a great place for photos. 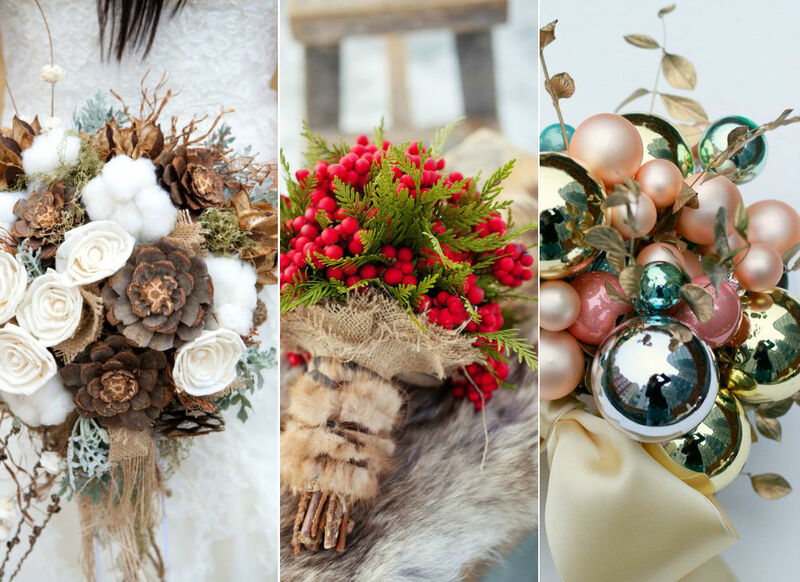 The most popular elements of a winter wedding decor are pine cones and other “woodsie” material. You can use them almost everywhere: for a topper on a wedding cake, for your bouquet, for guest cards, on the table etc. Cotton is a trend of the season. You can make the so-called cotton wedding. 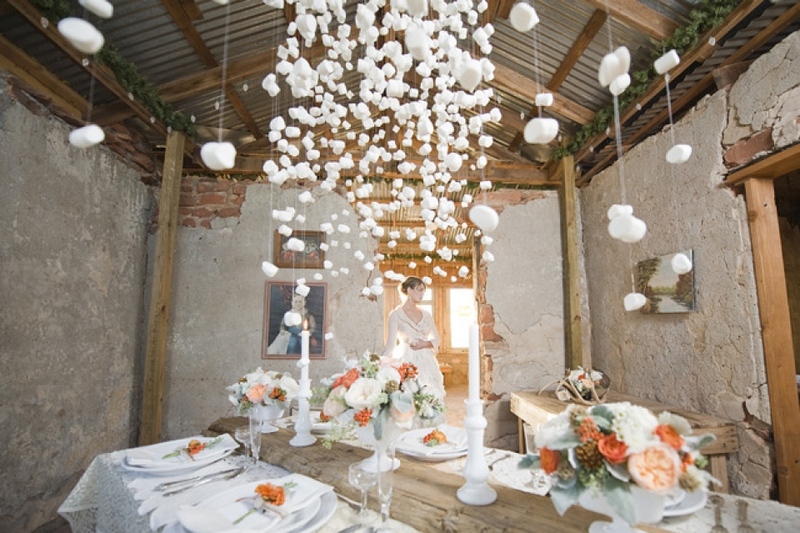 Cotton can perfectly serve as a basis for the bridal bouquet and boutonnieres and decorations for a wedding ceremony area. And the best decoration will be Christmas lights! 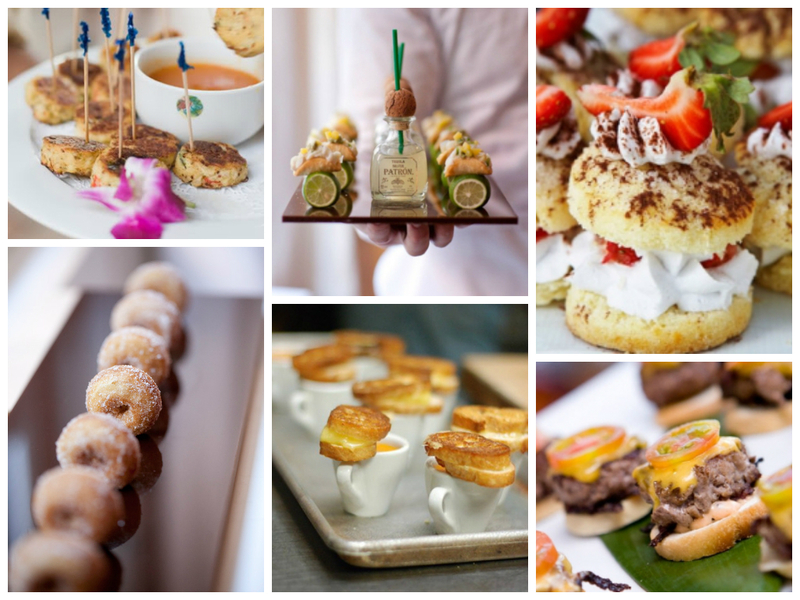 This unique detail will add some magic to your event and will surprise your guests. 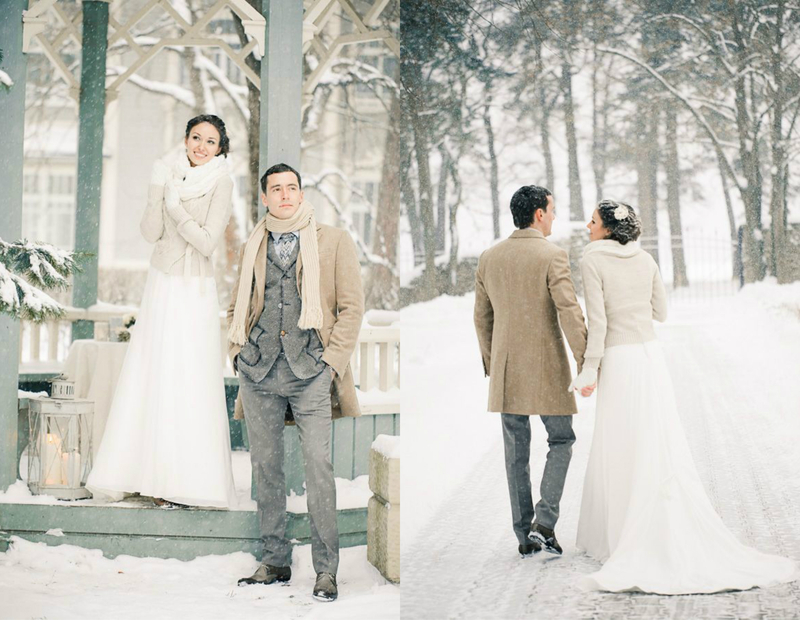 Many stores offer discounts for wedding dresses in winter. So it’ll be cheaper and easier to choose the one you really like. 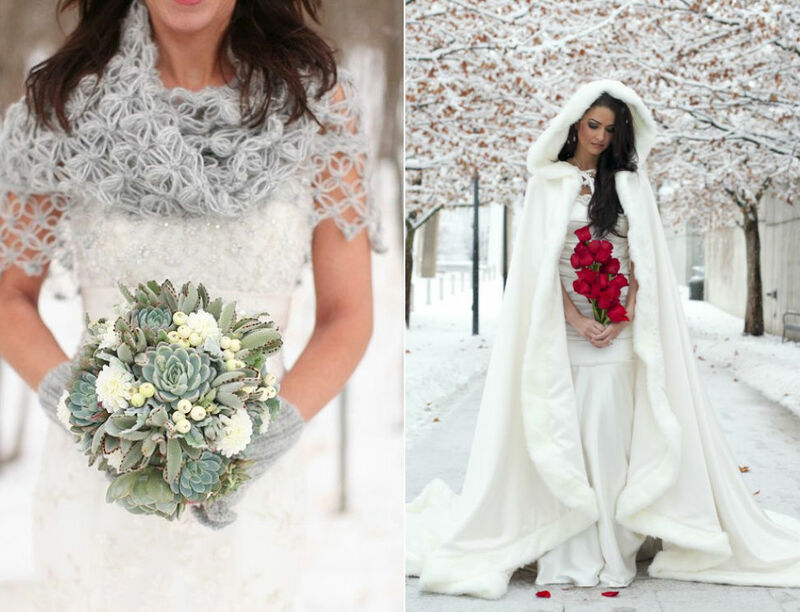 Details are the main advantage of a winter wedding dress. It’s a good idea to wear your fur coat or to ask your future husband for a new one. 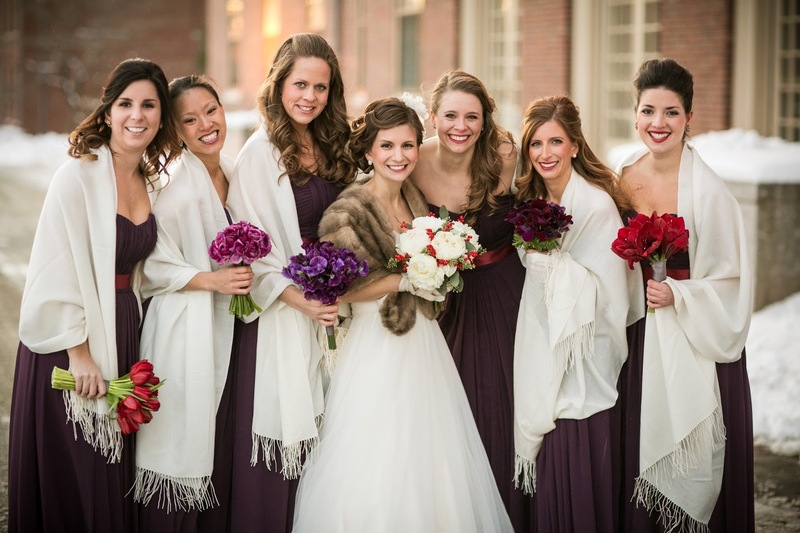 A knitted scarf will be a beautiful accessory and your wedding look will be unique. Don’t forget about gloves. No, you don’t need to wear this accessory for the ceremony. It’ll look great in your photo album however. After a cold day you need to keep your guests warm and cozy. So forget about shi-shi cocktails with little umbrellas and light salads. A grilled menu will be an interesting idea (vegetables, meat, cheese). Also you can serve a cream soup in small cups. Looks pretty cool! Impress your guests with drinks. 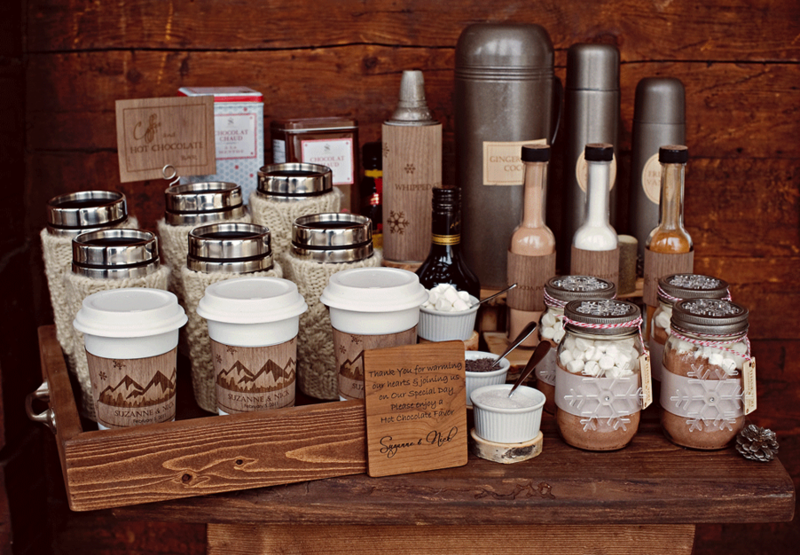 Mulled wine and cocoa with marshmallows will be a good decision to make a party ‘warmer’. It’ll be perfect to fly to a sunny and warm island to spend your honeymoon when there’s winter in your town. You can take your wedding dress and make the second photoset! And the main advantage- this vacation will be cheaper than in summer time. You can pick the date you want, the music group you were dreaming of and the place for the ceremony. You just don’t need to book everything in 6-9 months in advance like you would have to do for a traditionally timed spring or summer wedding. The most popular venues and vendors will be yours. 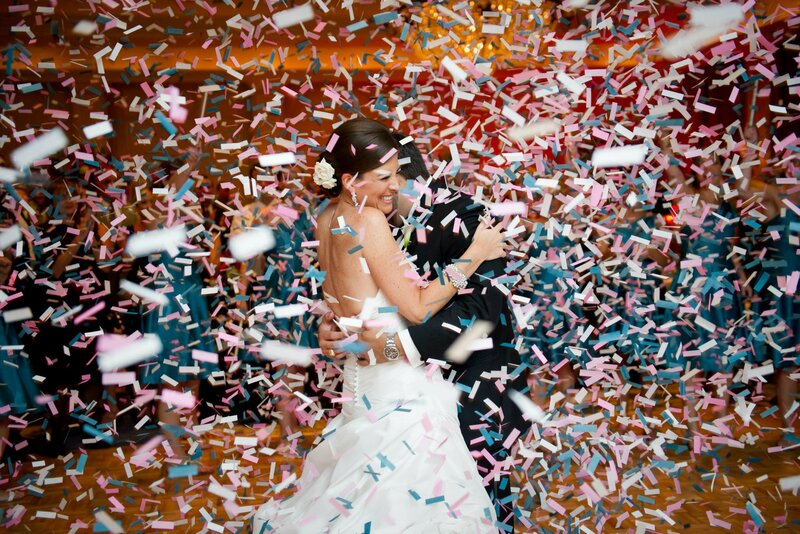 Not all guests can be at your wedding during the summer because of vacations. It’s easier to gather all relatives and friends in winter. So there won’t be conflicts with your wedding date. Yes, winter is winter. The weather is almost predictable. It’s cold. So you know what to wait for and what to wear. In summer everyone is waiting for the sunny and warm days. But in this season the weather is quite changeable. You’re waiting for the sun, but it can be raining all day long. So just take a fur coat, gloves and be ready for the best day in your life!